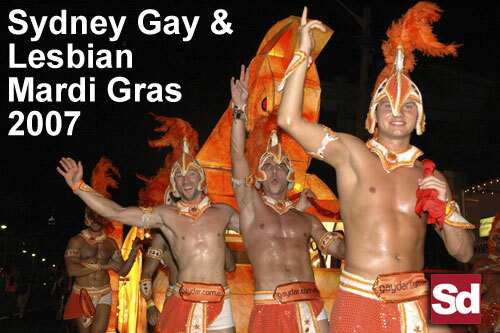 Every March Sydney, Australia hosts the world's most recognisable Gay & Lesbian Festival and street parade, the Sydney Gay and Lesbian Mardi Gras. From what started in 1978 as a protest march is now the world's largest and most famous gay and lesbian pride event! Evan Murphy is a Sydney Based Photographer who has recently started to take professional shots. Superdrewby thanks Evan for persmission to use the pictures! The Full Mardi Gras 2007 Galleries!